Recently, the Delhi State Legal Services Authority submitted a report of these centres to the High Court which is yet to be taken up. NEW DELHI: One Stop Centres (OSCs) are set up at or near hospitals for sexual and physical violence-affected women to provide them with temporary shelter, guidance on procedure of registering complaints, and medical, legal and psychological assistance. So, are OSCs in Delhi serving the purpose of a single window for assistance to women affected by violence? The Sunday Standard visited three of the 12 operational OSCs in government hospitals and found they are bogged down with several handicaps. Services are not always in conformity with the Ministry of Women and Child Development’s guidelines. 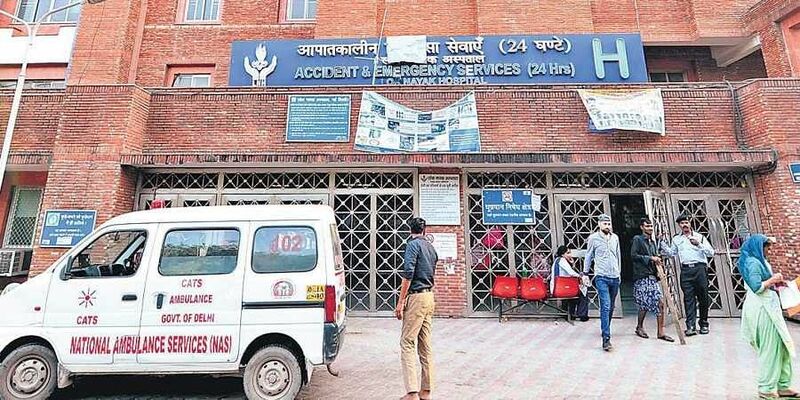 At North Delhi’s Aruna Asaf Ali Government Hospital, the OSC was found locked in the afternoon and a poster directed this correspondent to the labour room. “Only medical examination of sexual abuse victims is done here. We don’t have a dedicated doctor… We have few staff. So, the person-in-charge of the labour room will see Medico Legal Cases (MLCs). If we don’t have deliveries, we immediately attend them. Otherwise, it takes a little time. We keep the room locked as we keep all the MLC records,” the staff at the labour room said. But, the head of Gynaecology department claimed all services were done there. The story was repeated when this correspondent visited the centre at East Delhi’s Lal Bahadur Shastri Hospital in the night. But, the nodal and link officers were unreachable. “We open the door when a victim arrives with police. The patient is examined in the presence of a doctor and an examining hand. For counselling, an NGO counsellor is present. As a doctor, we only examine the victim, write down her medical history and detailed procedure. Counselling, and registration of a case is already done by victims,” the staff at the labour room said. Unlike other centres, the OSC at Lok Nayak Naryan Jai Prakash Hospital near Delhi Gate was operating in the afternoon. “Everything is done, right from taking the history of the victim, medical examination, counselling, calling the police and lodging of an FIR... If a victim requires an admission in management or certain home, she is sent there. Judiciary part is taken care of by the counsellor. But we do advise that there’s a judicial procedure. But, availability of staff is an issue because there are a lot of patients. Sometimes the process gets delayed due to the time taken by the counsellor or IO to reach the hospital,” said a senior gynaecologist. Experts in this field assert there is an immediate need to ramp-up the functioning of these OSCs along with deployment of dedicated staff. Recently, the Delhi State Legal Services Authority submitted a report of these centres to the High Court which is yet to be taken up. “The OSCs are mainly following the two-tier protocol — those based in the hospitals, and others operating from court complexes — of State Legislative authorities. These centres are essentially providing medical examination and counselling,” DSLSA special secretary Geetanjli Goel said.